Are you ready for a new relationship with your money and managment? Where money is not just about never-ending bills, frustration and worry, but about a resource that supports what you truly want in life? Where it includes dreams, joy, satisfaction and, spirit ? You feel capable, confident, and free. You have the resources to manage the money challenges life throws your way. 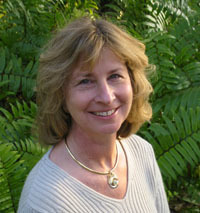 Nancy V. Deren, AFC is located in Gainesville, Florida. "I don't understand these statements so I just throw them away."